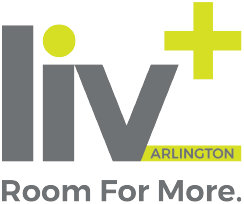 Students will love calling Liv+ home! Not only is our prime location steps from the University of Texas at Arlington and just minutes from College Park District hot spots, our brand-new apartment community is full of upscale amenities — from fully equipped kitchens to our study lounges and outdoor entertainment courtyards! And our one-, two-, three-, and four-bedroom floor plans are a perfect fit for students.